"Spirit of Custer" is designed over a soft burgundy wool hat base. 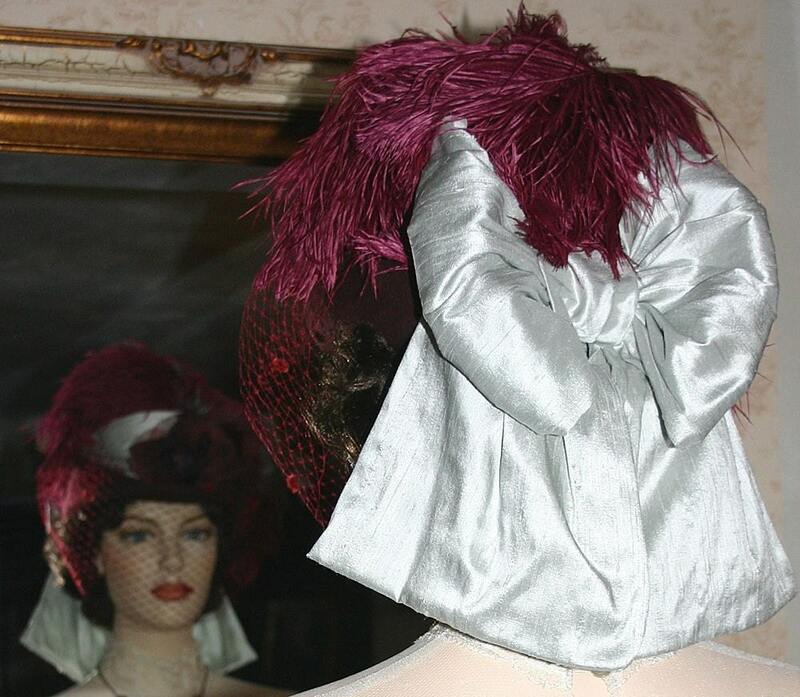 The hat band and bow are silver dupioni silk. 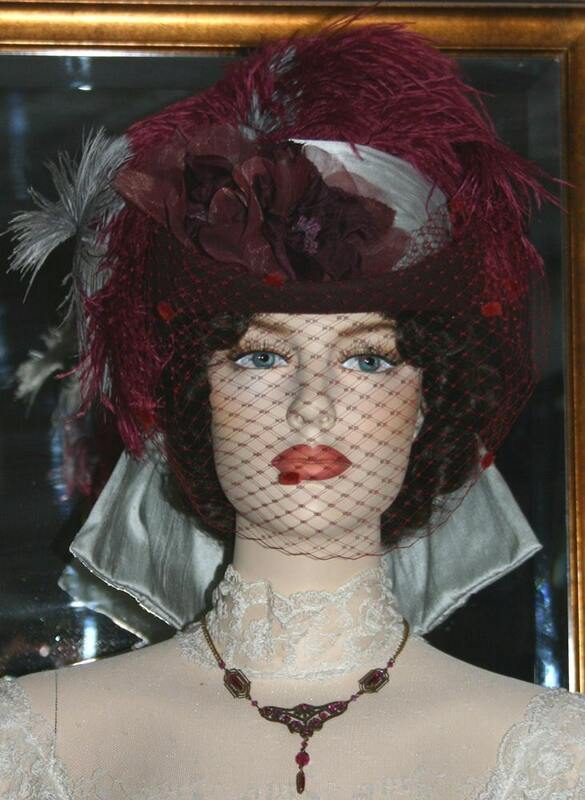 There's two beautiful burgundy organza and silk millinery flowers adorning the front. 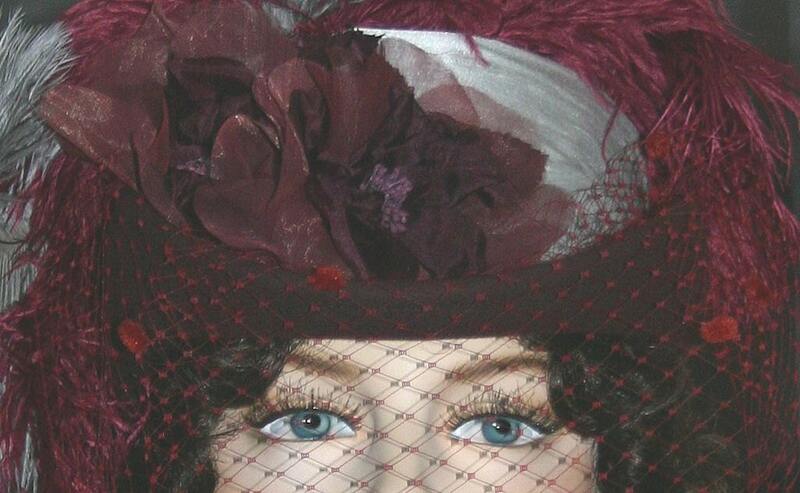 Delicate chenille dot veiling can be left over the face or folded up over the flowers. 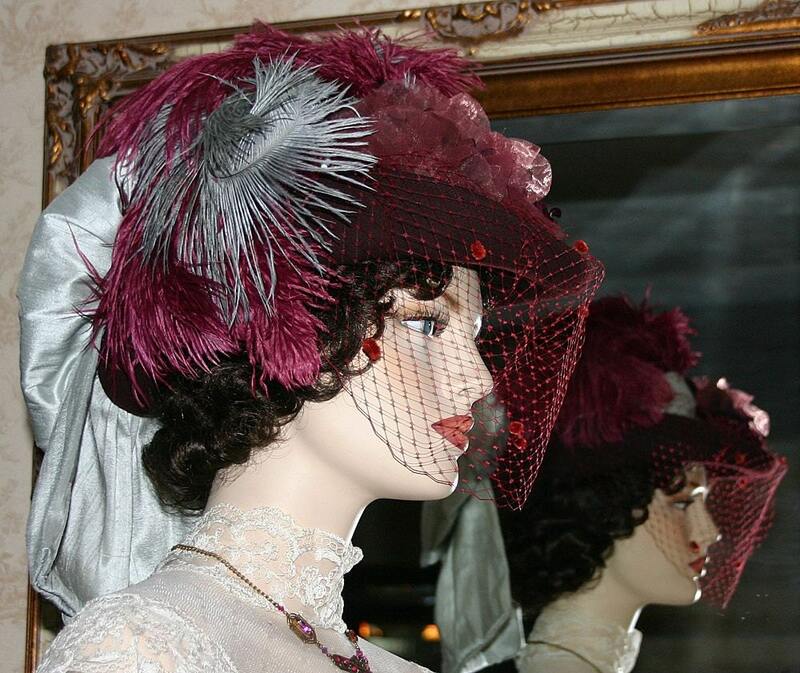 Gorgeous burgundy and silver ostrich feathers cascade over the crown of the hat. 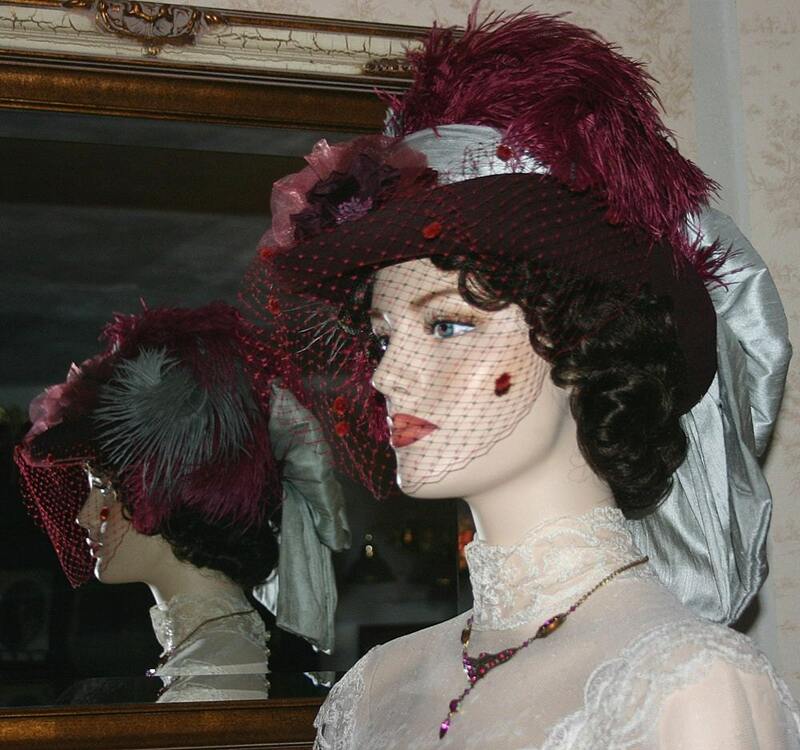 This hat is perfect for SASS event, tea party or anyplace you'd like to be noticed.